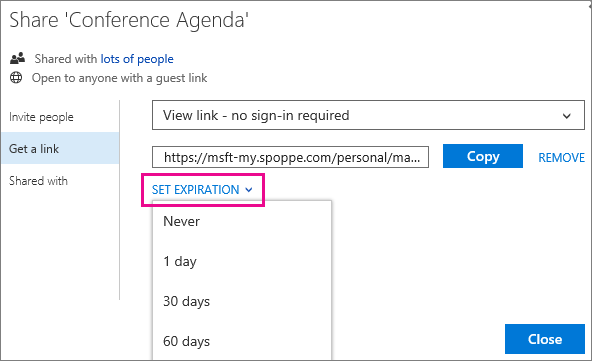 How can I share files from Office 365 online (One Drive for Business)? Are you a teacher and want to share a file with your students? Or, a student and you have been asked to share a file with your teacher when you are done? Share a file between you and another colleague at the school? 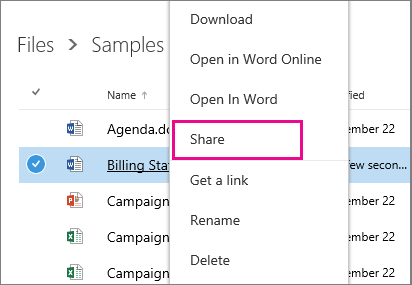 Sharing via email is no longer the best way to do so, directly sharing the file with others is. 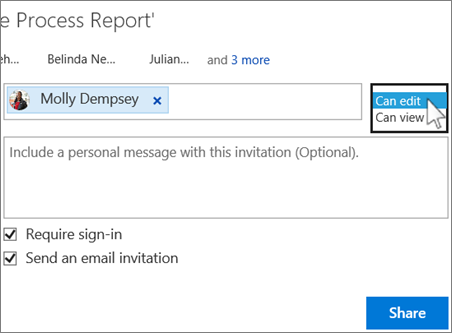 The Office 365 files and folders you store in OneDrive for Business are private until you decide to share them. When you share files and folders, you can decide whether to let people edit or just view them. Note: You may also be able share files with external users (people not on your network) by inviting them as “Guests,” or by creating and posting guest links. Search the MCA Helpdesk for "anonymous" sharing for help or, for full details, see Share sites or documents with people outside your organization. 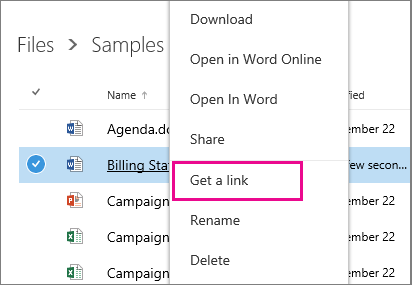 You can share a link to a file that others can also share by using Get a link. Get a link is available only for individual files, but it’s the easiest way to share files with everyone in your organization or to share with people externally. Go to OneDrive for Business online. Be sure to notice this is for online file sharing. You can also share from your desktop. Want to know how? Head here. Right-click the file you want to share, and then select Get a link. If you don't see Get a link, click Share, and then click Get a link. 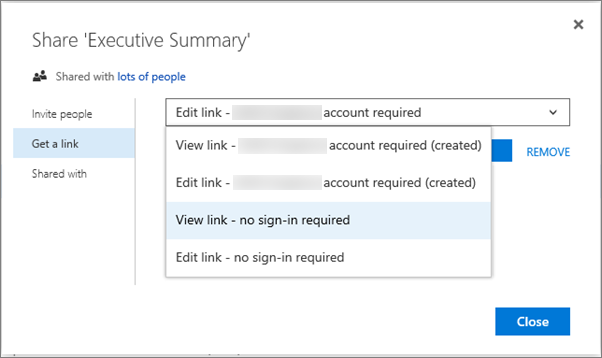 Edit link – account required After they sign in, people in MCA can edit, copy, or download the file. View link – account required After they sign in, people in MCA can view, copy, or download the file. Edit link – no sign-in required People outside MCA can edit, copy, and download the file. 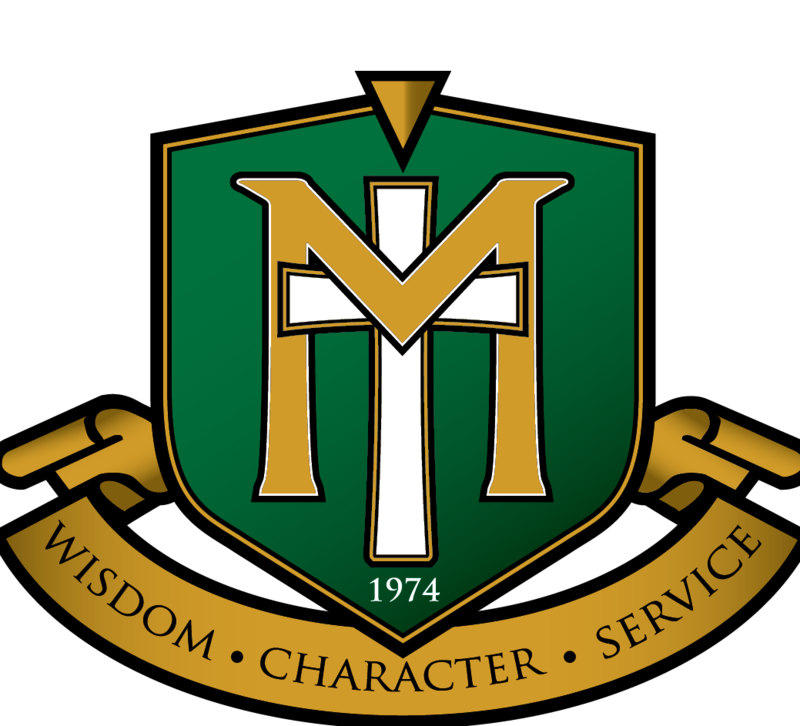 View link – no sign-in required People outside MCA can view, copy, and download the file. If guest access is disabled, you'll see only account required options. Paste the link into an email and send it or post it on a website for the people you want to share with. Account required links are designed for sharing within MCA. 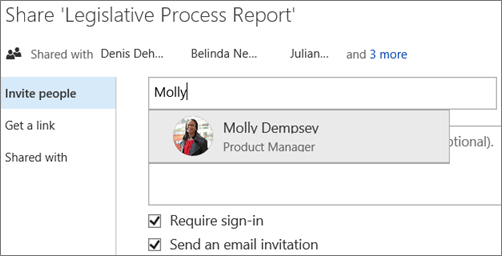 Therefore, recipients need to sign in with their user name and password from your organization. When a user opens the sharing link, she is granted permissions for that item and added to the access control list. No sign-in required links are guest links that are ideal for external sharing. If you don't want to send an email, uncheck Send an email invitation (you may need to click Show Options first).